Instruments Taught: Voice (beginning through advanced), Guitar (beginning through advanced), Bass (beginning through advanced), Mandolin (beginning through advanced), Banjo (beginning & intermediate), Ukulele (beginning & intermediate), Piano (beginning & intermediate), Drums (beginning & intermediate). Education: College level education in Music. Music Theory & Voice at Diablo Valley College in Pleasant Hill, Private studies in Jazz Guitar under Joe Livoti and Alex Skolnik (of Testament) & Flamenco/Classical Guitar under Glenn Staller. Key Teaching Concepts: Proper technique, professional performance, and applied music theory. For students who want a deeper understanding of musical theory, Tim is happy to “geek out” on theory any time! For students who just want to learn how to rock, Tim can definitely help in that area too! Music Time Academy is very pleased to have Timothy Garry (aka “Timmy G”) on staff as not only our most present instructor (teaching 5 days a week), but also as one of our most versatile instructors, teaching students of all ages on voice, guitar, bass, banjo, ukulele, mandolin & piano (in addition to leading our rock band and ukulele workshops)! Tim is a California native with over 20 years of music performance and composition experience, coupled with a varied teaching background of not just music, but also Spanish and History in a classroom setting. As a guitarist, Tim has honed his craft performing in a wide variety of styles, from Rock to Blues to Jazz and Latin styles. He has learned from many of the best advanced instructors in the Bay Area, including Joe Livoti and Alex Skolnik (renowned guitar God and lead guitarist for rock/metal legends, Testament). Now an advanced instructor himself, he emphasizes proper technique, applied music theory, improvisation (jazz/blues/etc) and performance. As a vocalist, Tim has impressive credentials. He studied voice at Diablo Valley College in Pleasant Hill, where he received a Citation for Outstanding Musicianship (Solo Vocal) from the International Association of Jazz Educators while performing with the Jazz Choir. He sings lead vocals in many musical projects and bands, and was even employed as a singing waiter at Max’s Opera Cafe for several years. 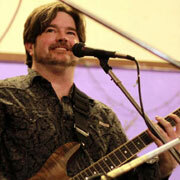 As a vocal instructor, Tim has an excellent track record of satisfied students of all ages. He puts a heavy emphasis on technique (proper placement, support, and tone production), helping his students to achieve that which they had previously thought to be impossible! Currently performing 3-4 times a week in various bands all over the bay area, Tim truly lives and breathes music! His musical passion, not simply his expertise and experience, are clearly passed on to his students during lessons.